In October, a report said that the Skoda Octavia RS was sold-out in India for 2017. 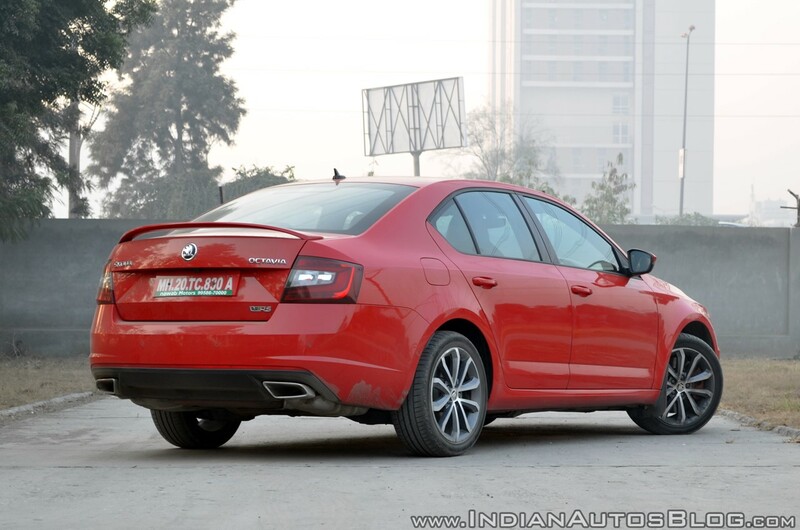 Now, Carwale reports that Skoda has reopened bookings for its performance sedan in the country. The Skoda Octavia RS reaches from standstill to 100 km/h in 6.8 seconds, and it can go further up to 250 km/h. The Skoda Octavia RS packs the 2.0-litre TSI petrol engine that produces 230 PS at 5,500-6,200 rpm and 350 Nm of torque at 1,500-4,500 rpm. The turbocharged four-cylinder mill is married to a standard 6-speed DSG dual-clutch automatic transmission. The XDS+ electronic differential lock for safer cornering is standard in the RS variant. Skoda claims a 0-100 km/h acceleration time of 6.8 seconds and a top speed of 250 km/h (electronically limited). ARAI has given it a fuel economy rating of 14.45 km/l. The Skoda Octavia RS has some unique touches to its exterior with elements like the RS badge on the front grille and boot lid, honeycomb design air dam, RS-specific front bumper and LED fog lamps, 17-inch Hawk Anthracite alloy wheels, RS-specific rear bumper with an integrated black diffuser and a red reflective stripe and stainless steel dual tailpipes. Inside, the RS variant offers a sense of dynamism with the sports steering wheel in perforated leather and with RS logo, sports front seats in Alcantara leather with RS logo and red stitching, steel foot pedal covers and door sills with RS inscription. 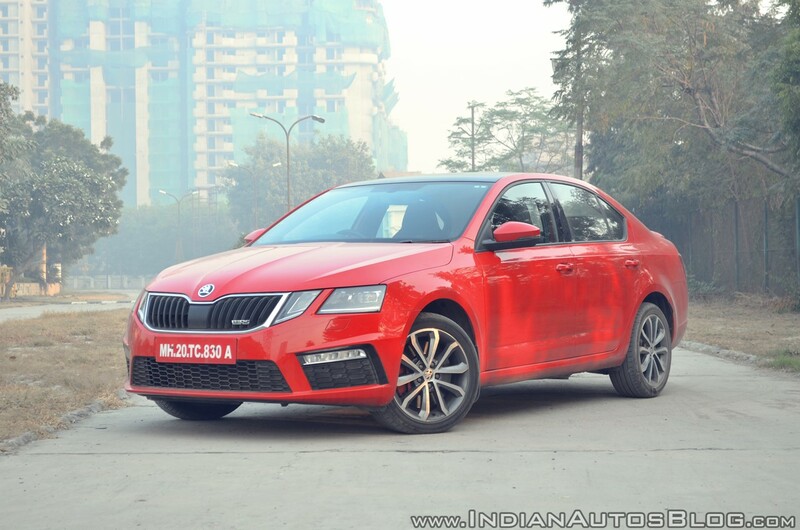 Since launch, the Skoda Octavia RS' price has gone up by over INR 2 lakh*. The new Skoda Octavia RS was a quick-seller in India, with stocks depleting in just over a month and a half from launch. The car’s price has gone up from 25,48,644* to INR 26,78,000* now. Comparing the launch price (INR 24,62,542*), the RS variant is not much of a bargain anymore. Interested customers can now order it and take delivery by the festive season this year.